Right now, wildlife are experiencing an acute crisis. We’re in the middle of the biggest mass extinction event since the dinosaurs. Elephants, cheetahs, gorillas, and other wildlife have never been closer to disappearing forever. Your note will show we will not give up, we will not back down, and this community stands more united for wildlife than ever before. 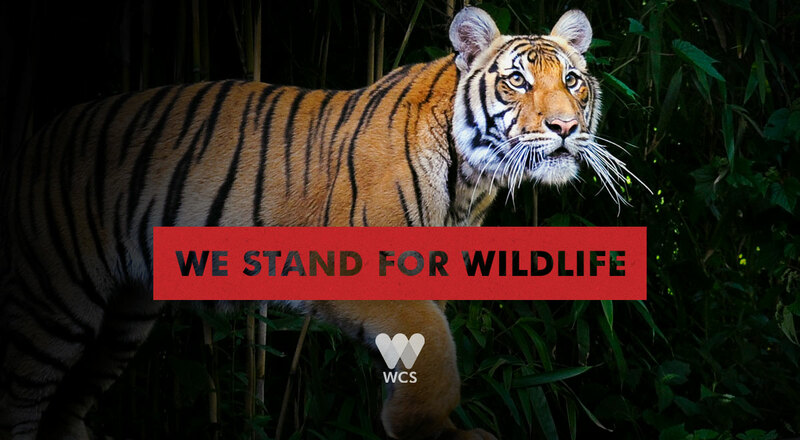 We stand for wildlife -- will you? As an advocate with the Wildlife Conservation Society, I wanted to write you at the start of this new administration about the urgency of the challenges facing wildlife and wild places, and request you continue and strengthen bipartisan policies that steward and protect them. Right now, wildlife are experiencing an acute crisis. We're in the middle of the biggest mass extinction event since the dinosaurs. Elephants, cheetahs, gorillas, and other wildlife have never been closer to disappearing forever. Saving them will require your continued commitment to effective wildlife conservation policies. Stewardship of our natural world and a commitment to conserving wildlife has long been an area of strong bipartisan agreement. People of all backgrounds and ideologies are captivated by the majesty of the natural world and express it in a variety of ways. And global conservation is just common sense. Poaching and trafficking not only threaten endangered wildlife but they fuel terrorist and militant groups. Strong enforcement and well managed parks in the developing world keep all safer and drive sustainable growth and economic development. For these reasons and more I stand for wildlife. As you develop your priorities for the next four years, I urge you to do the same.